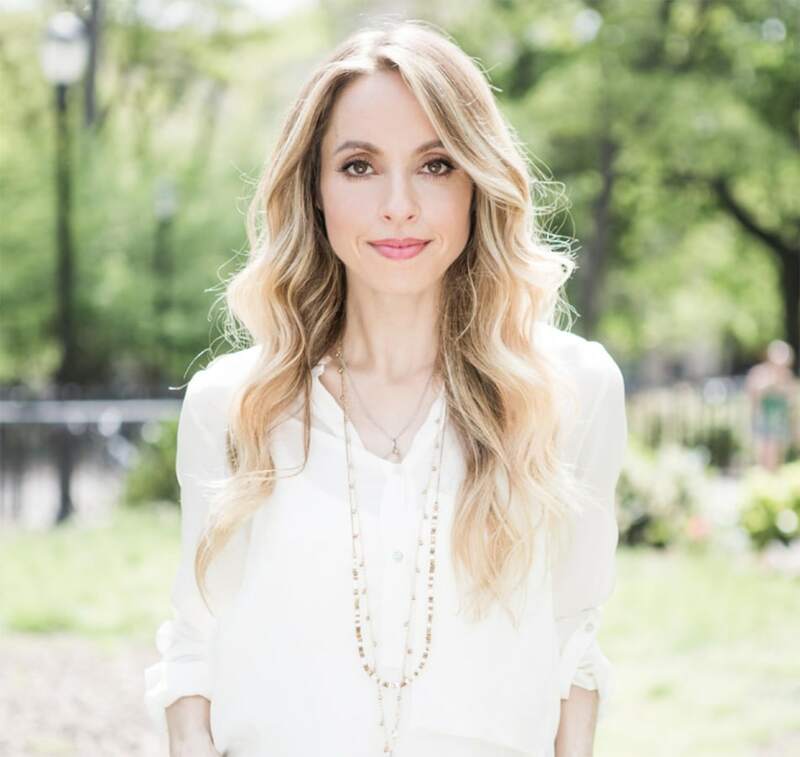 When Gabrielle Bernstein was 25-years-old she decided to change her life. She quit her fast-paced career in New York City running a PR firm, gave up drugs and alcohol, and started listening to her inner voice. Now a best-selling author and self-proclaimed “spiritual junkie,” Gabrielle has spent nearly a decade helping others achieve their own modern-day enlightenment. Sharing her spiritual mantras on Twitter, YouTube and in several books, Gabrielle has acquired a devout following that continues to grow, especially among young women. In 2009, the New York Times called her “a new role model” for millennial go-getters. Last month, Gabrielle released her newest book, Miracles Now, which was inspired by her personal journey from unhappy party girl to empowered life-coach. Here, the happiness expert shares the apps that keep her spiritually connected, motivated, and committed. This is an app that I cannot live without. Streak is a super easy tool for tracking the consecutive days it takes to achieve a certain goal. This app helps me stay motivated and committed. Each day that you accomplish your goal you mark off on the streak calendar. If you miss a day you start over. For the past 200 days I’ve been off of sugar and enthusiastically tracking my success through my Streak app. I love this app because it includes 101 audio affirmations accompanied with peaceful music. Louise Hay emphasizes the power of affirmations and positive thinking for creating a life you love. I like to listen to these affirmations and let them sink into my subconscious. As a meditation junkie I’m a huge fan of Headspace. I love this app because it makes meditation very easy for folks who are new to the practice. The app contains easy tools to help you focus more, sleep better and experience more Zen. I recommend this app to anyone new to a meditation practice or anyone feeling stressed out. I love this deck! John Holland is a world renown psychic medium. In his Tarot Oracle Deck he shares 65 beautifully illustrated cards that you can flip to randomly. Whatever card you land on is the message you are meant to receive. I use this deck daily and I always get the guidance that I need. This happens to be my very own app and I use it daily. The spirit Junkie alarm clock app is an affirmation alarm clock. The idea is simple but powerful. Each morning when your phone alarm rings, affirmation pops up. While you’re still cozy in bed, clear your mind and meditate on the message, allowing it to sink in and soak your soul. Then start your day with a positive, confident attitude. Want more miracle moments? Just set the affirmation alarm to pop up throughout the day with a gentle reminder to turn inward and shift your perception.